Last edited by Lambotour on Sat Sep 04, 2010 4:00 am, edited 2 times in total. 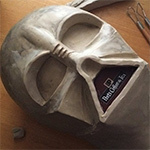 Cant wait to see some pics of your finished vader. For shits and giggles. The pic on the right was sent to me using my TM face and photoshopped into the screencap. I found the original screencap and posted the side by side. The angle of the faceplates are not the same since I wasn't even thinking about this shot when I originally took the pic, but I thought it turned out well. Well, I'm not promoting anything here, I'm just showing off a faceplate and dome. If you are going to use the faulty TM casting you have in your comparisons then I would say don't bother. If you'd like me to match shot for shot against your TD or the SL then by all means I'm up to the challenge. Only two things, I think a new thread should be started and you should send your pics to me by way of pm and give me a chance to take equal positioned shots. Then I'll pm them back to you and we can get started. How's that sound? I'll just say this. For the longest time I've heard how the TM is not ANH this and not ANH that. What others failed to realize is that the TM face and dome were derived from ANH parts. 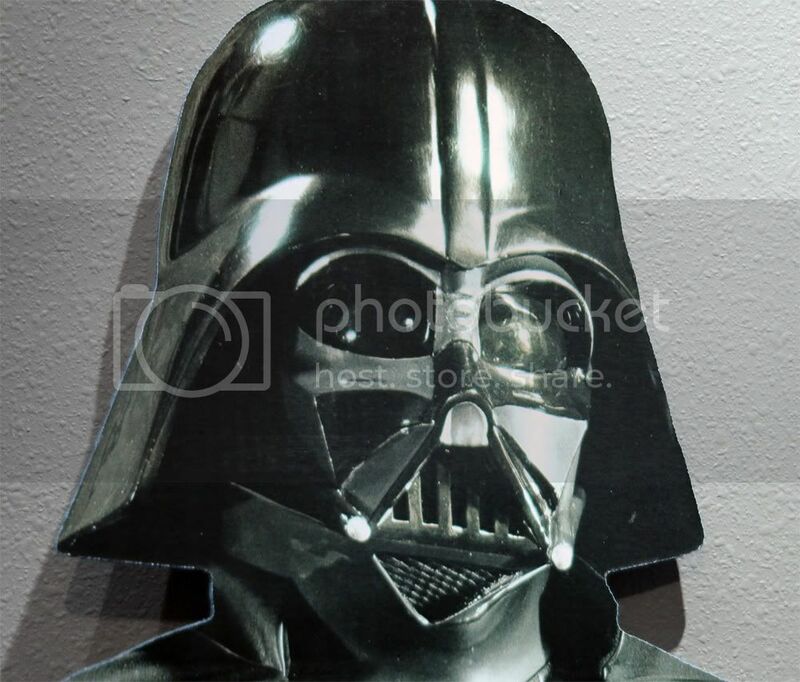 When the SL came into the picture I was reading where it was considered THE best vader helmet. It certainly is ONE of the best, but certainly not THE best, IMO. I had certain suspicions about it and I came to found out I was right, which I already knew since it's basically another DJ, another one of the best vader helmets around. When I did my comparison in Thomas' thread I used a picture he posted of his SL which was being labeled as the ultimate ANH. So what better way to prove my point than to compare the TM ANH against SL. If you compare the TM ESB to any other ESB helmet the TM wins hands down. When I compared my TM ANH to the SL helmet it did pretty damn good. Hell the faceplates were practically identical and only the change in the positioning of the dome was what needed to be adjusted and even THAT matched up nearly identical once that was done. I'm just trying to show a faceplate and dome that I'm proud to own without stepping on anyone's toes. As I told you in private Thomas, I'll gladly remove my post in your thread if you are so insulted by it, but like I told you it wasn't meant to knock the SL. It was simply to prove my point that the TM ANH is one helluva helmet as well. Last edited by Lambotour on Wed Mar 19, 2008 4:57 am, edited 1 time in total. What an amazing helmet. Looks fantastic. Do you have some more shots, maybe from other views?? Thanks Nick. I'm not at home at the moment, but I do have this one of my WIP. Please disregard the cape and robe, it's just a slap on till I get my custom made ones finished. Pete, this is freekin great!! Last edited by artisanprops on Wed Mar 19, 2008 3:01 pm, edited 1 time in total. I don't mean to be presumptuous, but I feel I need to say that the newfound peace and growth we are now experiencing in the community came from the admins ending the "I have the best of the best of the best" mentality through a slight population adjustment. It was a very demeaning oppression and divisive atmosphere that I don't care to relive. This was a very positive change, so we can rest, relax and actually enjoy the Vader-collecting environment for a change. Let us all be mindful to encourage one another that there is no need to rush to fill the void created by our collective rejection of that old mentality. Can we just recognize that the five helmets around are "Five of The Best" and leave it peacefully at that? I don't want us trying to imply one is better; then someone else will defend their helmet, and then we'll have WW3 all over again. I think the TM is one of the best, and I think the SL is one of the best. As with the VP, DJ and TD. Believe it or not, I see subtle and minuscule qualities in each that the other doesn't have, and nobody so far has discussed how the five compliment each other. In fact, if you want to argue which the best was, it has been and always will be the screen-used ANH itself. Enough said. and that's saying a lot because we all know Gino's displays are top notch. I'm really so tired of the constant battles that are rampant in the vader community. Now I won't back down from a challenge, but I find no fun or glory in it at all. People wonder why some don't want to share what they have, it's because immediately it turns into a competition for king of the hill. It gets old real quick and it has. There are some people who spend a lifetime studying every subtlety, nuance and detail in the Mona Lisa or Michelangelo's David. What we are doing here is hardly dissimilar. Some of us pursue items that are the truest representation of that which we find artistic. Some of us try to create or recreate that art. I think that whether it is for pure collecting enjoyment or developing our inner artist, doing so in a genre we've loved since childhood makes this so rewarding. I've seen communities go sour when a few rotten apples spoil the bunch. All it takes is a small handful of individuals - who are so deficient within themselves that they need to constantly be worshiped or be under the spotlight of community recognition - to ruin a community environment for all. If one has to find adulation in a world of science fantasy, what kind of life is that? It's just a hobby. But it can be a good hobby if we're pursuing it with the right motivations. I applaud your focus, Karo. I think that the best thing to pursue is the unmistakable look of the original. I think the TM ESB is the ultimate ESB...I thought before and I still think it's a production-derived ESB helmet. I think also it's an outstanding conversion to ANH...much better than any other fanmade helmet I've seen so far apart from the DJ ANH, but that's ANH...although I wager the TM has details over an above the DJ in some respects...and because it's from the UK mold it also has one or two advantages. The photos I've seen here of Pete's ANH are really something to be proud of. The faceplate of the TM is as you guys have said is really basically ANH and the details are there although I could go into a lot more detail about what is there and what is not there. But size-wise and most of the important details are there in the face...yes. Not all but most. I have a concern about the neck and a couple of things about the helmet as well. It's not meant to be an all-out battle nor saying who's is better or just for the sake of saying "oh there's problems about the TM". I respect the TM helmet and when I respect something like that I consider everything about it. I guess I could spend a lot of time pointing out all the great things about it, but I also have a few things I noticed that were different and if people are curious I can show them...that's all my intent is, just to show what I've observed, and they are subtle but they are there. Of course there will be a discussion of angles and lighting, etc. but I have a pretty good idea about this sort of thing. 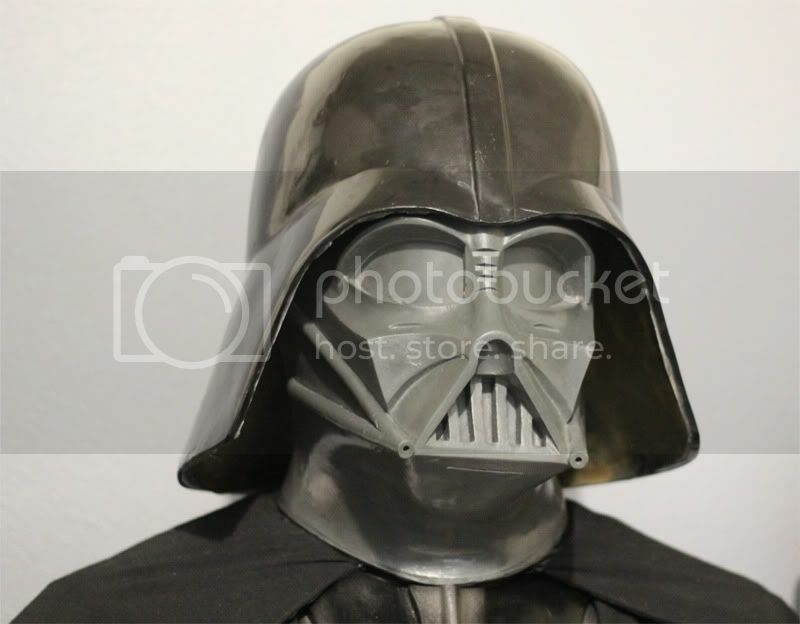 I just have one comparison to show (that's all I need to show) using the nice front view of the TM ANH helmet shot posted here because I have one of the SL ANH from about 8-10 feet back now that is much better. The comparisons did in the SL ANH thread with the TM were done from 3/4 front views which as we all know look better anyway...and from the right of the TM, but the problem is clearer when looking from the left at the helmet. Also, I won't post anything TM-related without asking permission from the person who has the photo because I respect their enjoyment of their quality helmet, and also I know the TM has an enthusiastic following and justifiably so (I like to think I am one of those enthusiasts).